Vinyl Pool Liner Replacement | Give your in-ground pool a new look! 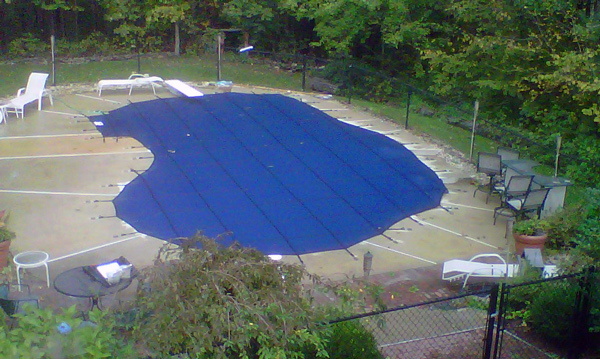 Like all products, pool liners will wear out over time. Sunlight, freeze-thaw cycles, and years of water chemistry eventually take their toll on vinyl pool liners. Their average life expectancy is 14-17 years providing the liners are cared for properly. Of course, pool liners that are thin and poorly constructed will develop leaks and other problems much faster than liners that are of better quality. When pool owners notice that their pool is losing water—or in some cases is completely empty—or if the liner is faded or beginning to pull away from the pool’s coping, they will often contact us for help with a liner change or liner repair. 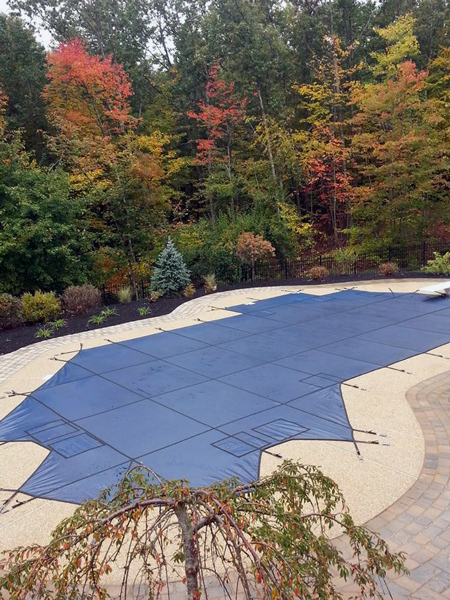 If this happens, we are happy to work with them quickly, and install a new in-ground pool liner that is durable and can withstand the harsher weather conditions that we often get in New Hampshire. The right liner makes all the difference. Here at Daigle Servicing Company, we only sell and install one brand of pool liner – ones that are made by the “VynAll” company. These high-quality vinyl in-ground pool liners are a 27/20 mil thick—which is much thicker than many other liners that are on the market today. 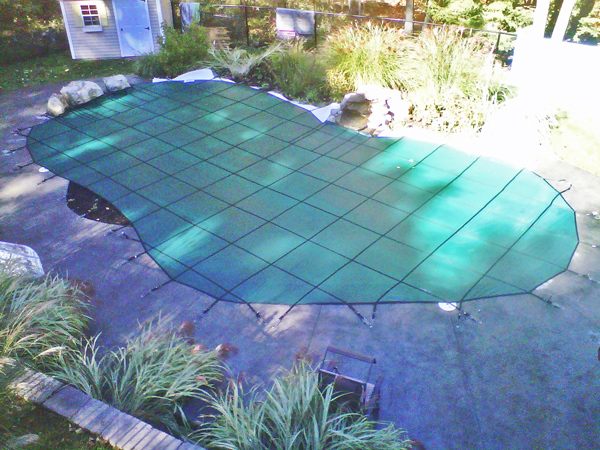 In addition to being durable, the VynAll in-ground pool liners are exceptionally attractive. Customers can choose from around 20 different patterns. This means that the new in-ground pool liner will look nice and blend in well to the surrounding landscape. Our in-house labor policy and extended warranty sets us apart from all other local pool companies that offer this service. VynAll pool liners come with an impressive 25-year manufacturer’s warranty. But material quality is only half of the equation. What about the labor? In addition to the manufacturer’s warranty, Daigle Servicing offers an exclusive 5-year extended warranty, which also includes the labor and water refill* that is necessary to replace the liner if there is a manufacturer’s defect in the first 5 years. This extended warranty comes standard with every pool liner, at no additional cost to our customer. *We will fill the pool using the customer’s garden hose. We can stand behind our work because the workers who install these replacement pool liners are trained employees of Daigle Servicing Company. We do not work with sub-contractors on these types of jobs. If the base underneath is deteriorated, we won’t risk creating the same problem with the new liner. Our technicians will update the client and advise the appropriate repair before installing the new liner. “Service First.” Once the new liner is installed, we will help to teach our customers on how they can keep the in-ground liner in great condition for as long as possible. Making sure that the pool chemicals are properly balanced can help keep the liner from fading and look brand new for years to come. At Daigle Servicing Company, we offer a full line of pool products that will help ensure the water is clean and sanitary, and the liner is not being needlessly exposed to too many chemicals. Just bring a water sample to our Hudson New Hampshire pool supply store anytime for a free water balancing test.